Are you afflicted with the Pimple problem? Do you shy away from social gatherings because of this? Have you stopped seeing your face in the mirror lately due to the many pimples that mar your skin? Have you tried everything from Neem, haldi and chandan to drinking lots of water and all your relatives' sworn off recipes but still can see these sneaky pimples on your face? Then don't waste time. Rush to your nearest shop and get yourself the tried and tested Garnier Pure Active Neem Face wash.
Pimples are ugly, painful and embarrassing things. They make us lose our confidence and are often itchy and highly uncomfortable to bear. 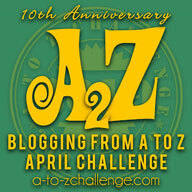 I have seen my brother feeling pain, itchiness and tackling the sudden eruptions of pus and blood when they burst. It must be so painful! Being a boy with pimples is even more embarrassing, according to my brother, because on girls it is taken as being normal but on a boy it is a reason of much ridicule and jokes. However, I disagree with him on this. Pimples are painful and embarrassing for everyone and we should take precautions against them. My brother had been feeling more and more unhappy with his face which was never free of these ugly pimples and the marks that they left behind when one day, my cousin came to stay with us. When she came to know of my brother's pimple problem, she suggested that he use the neem face wash from Garnier. Initially, he was very skeptical but then after much deliberation, decided to give it a try and has never looked back since! Garnier Pure Active Neem Face Wash has done wonders to his face. His face is now free of pimples and any marks that spoiled it earlier leaving him with a clean, healthy and spotless face. He is more confident and definitely happier. Adding a balanced diet with lots of water, he is a changed boy now. I have seen the magic of this product from Garnier and recommend it to everyone. Bid adieu to the painful pimples and the ugly marks on your skin. 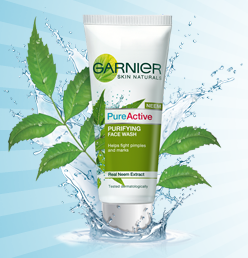 Use Garnier Pure Active Neem Face Wash which fights germs, pollution and removes excess oil from our face to leave it radiant and pimple free. So, what are you waiting for? Go checkout this effective pimple fighter from Garnier and see the difference in your face. This post is written as an entry for the Garnier Pure Active Neem contest on Indiblogger. All the above opinions are my own and in no way influenced.